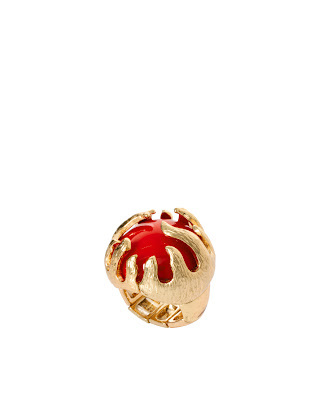 This Red Cocktail Ring ($61.57) is made by Kenneth Jay Lane. 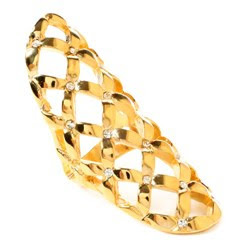 The details include: a domed stone design with a gold-tone statement setting and a chunky, stretch shank. Latico creates classic designer accessories with unique artisan details. Perfect for those who crave fashion without the fuss, each metallic carryall, chevron wallet or functional computer bag features rich leather treatments and extensive interior organization. Blending New York City fashion with an eye for European trends, Latico is dedicated to being a one-stop source for each season’s trends and colors, producing beautiful accessories for work and the weekend. The Roslyn computer bag stylishly carries workday essentials in rich black leather. 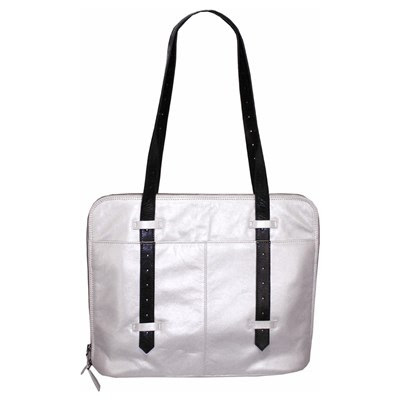 This tote features a three-sided zipper entry opening to a roomy and colorful fabric-lined interior. The perfect briefcase alternative, this organized bag contains a center zip compartment, a back wall zip pocket and a cell phone, credit card and pen section. 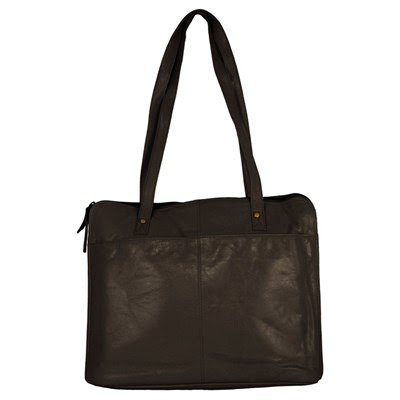 Effortlessly chic, its functional design is completed with a large exterior pocket and leather straps. Includes matching dust bag. Made from 100% leather. 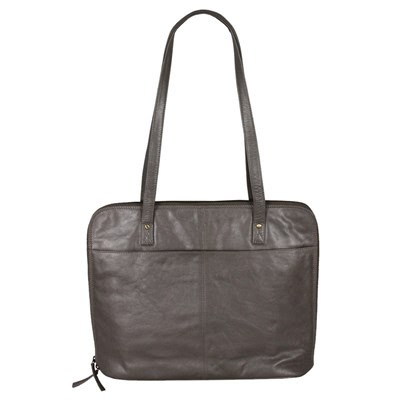 The Roslyn computer bag stylishly carries workday essentials in metallic gray leather. This tote features a three-sided zipper entry opening to a roomy and colorful fabric-lined interior. The perfect briefcase alternative, this organized bag contains a center zip compartment, a back wall zip pocket and a cell phone, credit card and pen section. Effortlessly chic, its functional design is completed with a large exterior pocket and leather straps. Includes matching dust bag. Made from 100% leather. Malin Akerman and Charlize Theron were spotted wearing Junk Food tees in Los Angeles this weekend. The mom-to-be and new mom sported the super soft original vintage tees running pre-holiday errands. While Malin rocked her edgy Debbie Harry Rockbird tee, Charlize looked cute and casual in her hot pink Mickey Mouse tee. Mariah Carey was spotted wearing Junk Food in Aspen yesterday. The American Idol judge accessorized her Snoopy Ski Bum tee with lavish jewels during a holiday shopping spree. Get Mariah's look with a variety of similar Junk Food vintage inspired Snoopy tees ($10- $40; Junk Food Clothing). Mercedes Salazar jewelry weaves a story of ancient traditions with bold and colorful artisan-crafted treasures. 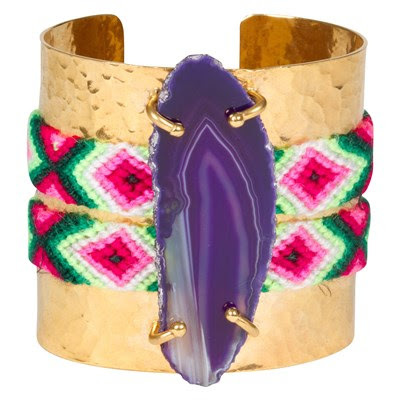 A tribal-influenced accessory, the Wayuu Purple Agate cuff dazzles with an oversized gemstone and hammered metal. The handcrafted, gold-plated bronze bracelet pops with two green and fuchsia knotted bands and a chunky purple agate accent. Made in Colombia using 18K gold-plated bronze and natural agate. 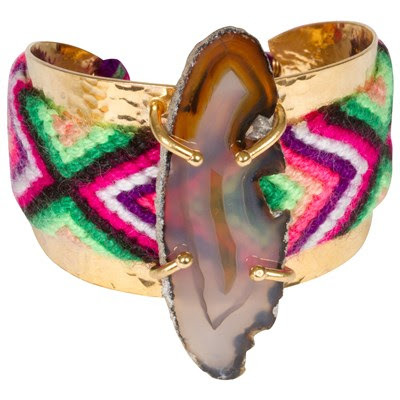 The striking Wayuu Agate cuff artfully combines hammered metal with a rainbow knotted band and a faceted brown gemstone. 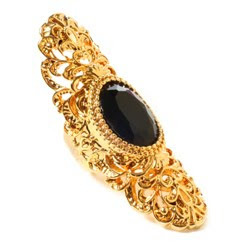 A beautiful Colombian design, this handcrafted, gold-plated bracelet delivers a tribal accent to a modern outfit. Made in Colombia from 18K gold-plated bronze and natural agate. 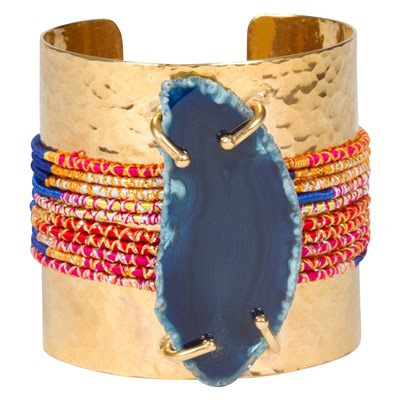 A tribal-influenced accessory, the Wayuu Blue Agate cuff dazzles with an oversized gemstone and hammered metal. The handcrafted, gold-plated bronze bracelet pops with multiple blue and red cords and a chunky blue agate accent. Made in Colombia using 18K gold-plated bronze and natural agate. 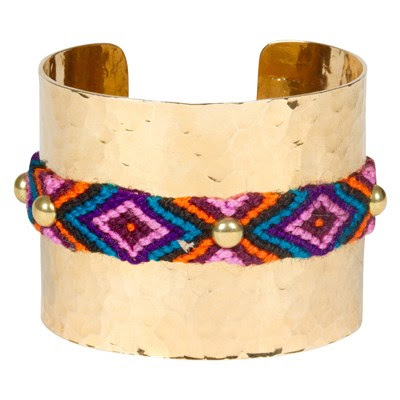 The Wayuu Lore cuff takes note from Colombian tribal art with its woven thread, hammered metal design and golden studs. Decorated with a knotted blue, purple and orange band atop gold-plated brass, this handcrafted bracelet pops as an evening aeccessory. Made in Colombia using 18K gold-plated bronze. Ethical. Sustainable. Handcrafted. PANDA sunglasses ($119.95; Available in Two Different Styles: Monroe or Robinson) are changing how fashion accessories are produced. Designed in Washington D.C. from sustainable bamboo and recycled polycarbonates, PANDA sunglasses are as fashionable as they are ecofriendly. Additionally, they will provide an eye exam and a pair of prescription sunglasses to a person in need. 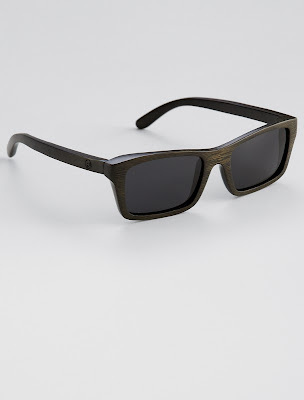 ecofriendly sunglasses handcrafted from sustainable bamboo choose brown or natural TAC Polarized Lenses 100% UVA/UVB Protection water resistant and float in water frame: 155mmW x 60mmH lens: 55mmW x 60mmH bridge: 30mm arm length (frame to arm bend): 105mm give the gift of vision: for every pair you purchase PANDA will provide an eye exam and a pair of prescription glasses to someone in need through TOMA Foundation. AC/DC may sing a good tune but you will be sure to rock in a pair of Hells Bells ($179.99) from TaylorSays. 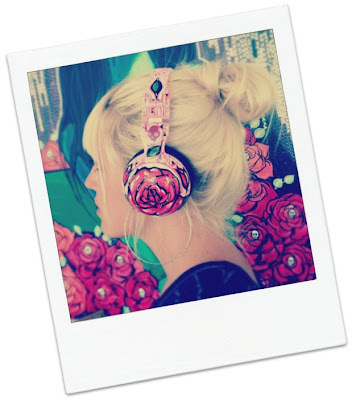 Channel your inner punk with black gloss or take a trip to the 80s in bright pink! Bella the bulldog makes an appearance on these soles that are sure to make a statement when you kick up your heels. 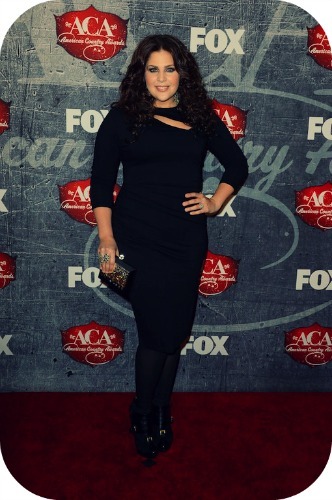 Hillary Scott of Lady Antebellum makes a statement on the red carpet at the 2012 American Country Awards accessorizing with CB Luxe on December 10th, 2012 in Las Vegas, Nevada. 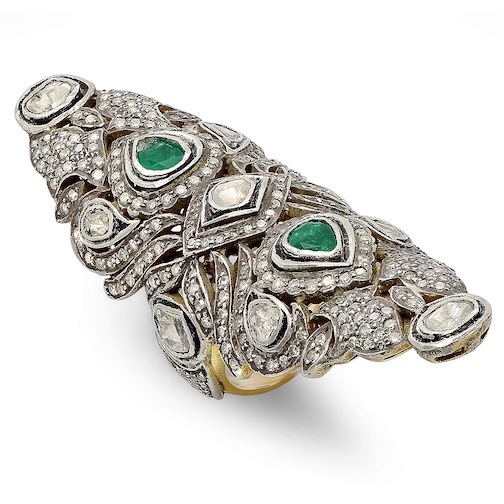 Hillary wore the Full Finger Knuckle Ring in Emeralds and Diamonds from CB Luxe. 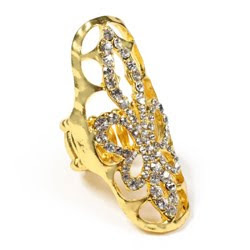 CB Luxe is the fine jewelry collection by Callae Brownstein. The line mixes precious and semi-precious stones to give pieces a modern twist, while also adding a more traditional touch to contemporary pieces to make them timeless. Callae's inspiration for the line comes from her mother and grandmother who were known for their original style choices along with her strong industry experience and innate understanding of jewelry. 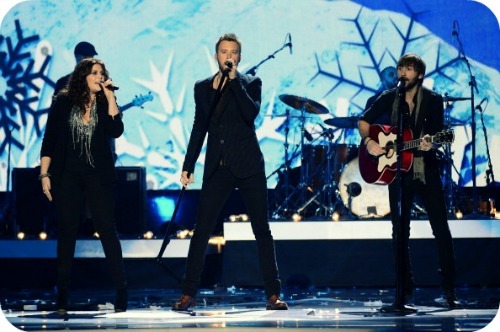 Lady Antebellum's Charles Kelley rocked bed|stü boots during last night's performance at the American Country Music Awards. The singer & songwriter, whose band took home "Top Vocal Group" and "Single of the Year" awards, looked hip in his bed|stü Bolter Boots ($235). A few months ago, I discussed about how music affects fashion since many designers find music as their most influential inspiration for their creations. Prior to that, I discussed how art and fashion can't live without one or the other. Music, fashion, and art are our daily elements that are intrinsically intertwined, even though they carry a different tune, design, and stroke. Trends in any art form (i.e. music, fashion, art) may come and go, but originality is timeless and unforgettable. Nary Manivong, New York based fashion designer, has been faced with a few obstacles (i.e. broken childhood, homelessness, and the sometimes cruel, but very competitive world of fashion), yet they haven't deterred him from making his dream into a reality. I find his story to be interesting and inspiring, which is chronicled in his documentary, Dressed. 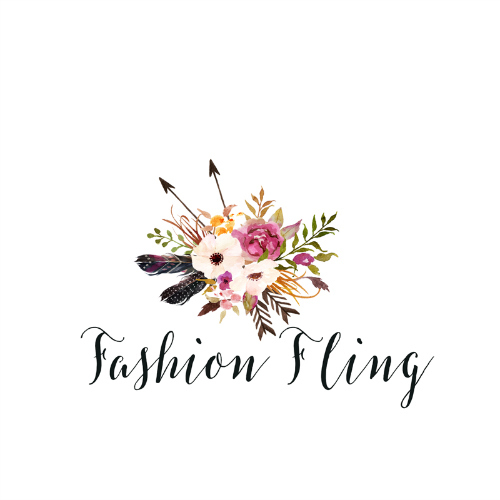 Manivong creates designs with his idea of a dream woman: one who is sophisticated, confident, and an eclectic music that expresses herself through the clothing that she wears. He recently unveiled his Spring 2013 Collection at a Stoli party. 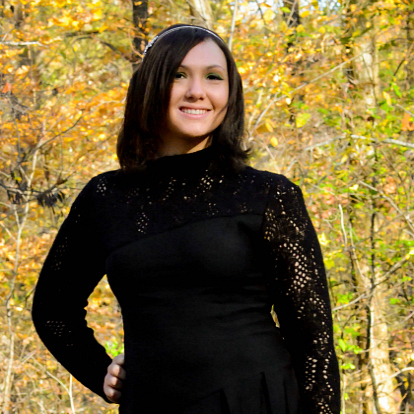 His pieces have a vintage modern vibe that I find exquisitely elegant, feminine, and flattering. These opinions are exclusively my own. Alicia Keys in on fire wearing the COSABELLA Aire Soft Bra ($52.50; Available in Blush, Chestnut, Black, Twilight, Sun Orange, Raspberry, Rouge, or Plum) for a recent performance on Good Morning America! Kristin Cavallari looked nothing but amazing in the Line & Dot Pointy Satin Blouse ($127; Black or White), while out and about in New York on Tuesday, December 4th. 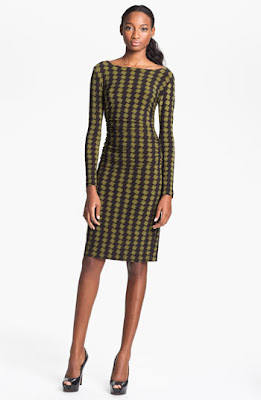 Conquer the conference room and cocktail hour with confidence in chic double-duty dresses! 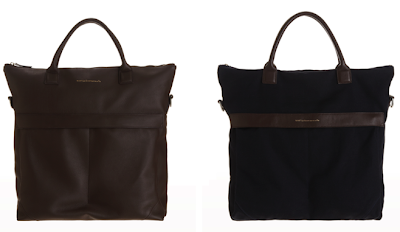 Since its inception in 2010, the O'Hare tote bag by WANT Les Essentiels de la Vie has evolved to become the requisite everyday accessory. Now an iconic piece in the collection, the latest iteration of this style is crafted from chocolate French calfskin or organic navy cotton with chocolate leather trim and features slick, streamlined magnetic closures and the WANT Les Essentiels de la Vie signature bi-colored gold and silver zipper. Front access pockets, interior shoe and laptop pockets and shoulder strap distinguish the O'Hare II as the functional and luxurious solution for housing all of your daily essentials - making it the definitive accessory for any urban or world traveler. Launched across Barneys New York stores nationwide and on Barneys.com for the XO Exclusively Ours collection for Holiday! WANT Les Essentiels de la Vie was conceived in 2006 out of a "want" for premium, quality leather goods to house the "essential" professional and personal products for modern everyday life. Designers, Dexter and Byron Peart, with co-founders Mark Wiltzer and Jacqueline Gelber, challenge the status quo by offering stylish, functional and affordable alternatives. Inspired by mid-century architecture and design, WANT Les Essentiels de la Vie celebrates unity through contrast and is at once classic and modern, masculine and feminine, uptown and downtown. The WANT Apothecary, opened in 2011, and WANT PASSPORT, opened in September 2012, are unique retail concepts as well as design destinations which feature the WANT Les Essentiels de la Vie collections and a highly curated selection of international fashion and design brands and are the culmination of the founders’ experience in branding, production, creativity and commerce. 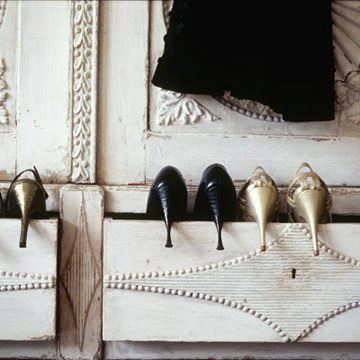 Closet clutter in your house, garage, storage room, we are all guilty of it. Most of us have clothing we haven’t worn for decades or only wore once and they are sadly left in our closets, taking up space. Carolyn Schneider, author of the The Ultimate Consignment & Thrift Store Guide and expert bargain shopper says, ”Finding clothing in your closet is like finding extra money in your wallet that you did not know you had.” “ It is very easy to clean out your closets and make extra money for clothing that you will never wear again”. • Know what sells. 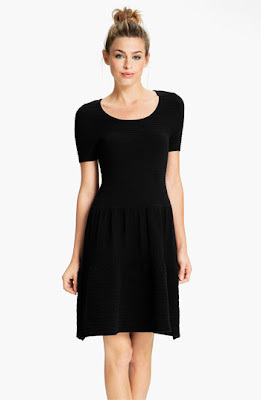 Designer women’s clothing, handbags, shoes are always in very high demand. 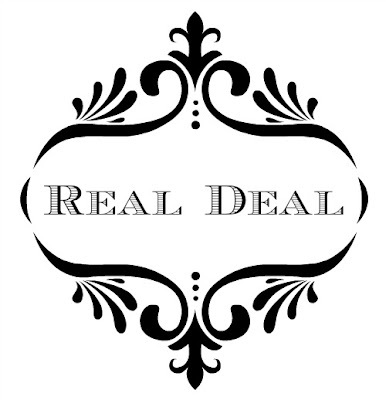 Designer items from Chanel, Gucci, Hermes, Prada will get you top dollars. • Consign your items but read the consignment contract carefully. The contract gives you all the information about what your consignment split is, the length of your consignment term and how you will get paid. Most consignment splits are 50/50. Consignment terms are usually 60 days. Items that do not sell right away are usually reduced, 20% after the first 30 days and an additional 20% after another 30 days. • For items in less demand donate them to a thrift store. When you donate your items you can ask for a receipt for tax purposes. The IRS rules allow you to deduct fair market value for the item which is the price the item sells for in the thrift store. 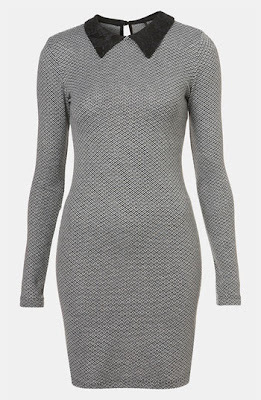 • Reconstruct your clothing. 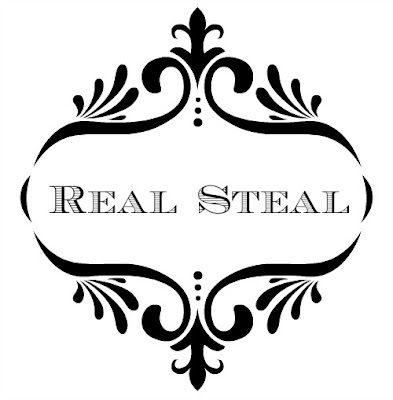 Thrift and vintage stores are the best for finding bright cotton patterns and interesting wool to be used to reconstruct clothing into other items such as handbags. Some companies specialize in reconstructing thrift and vintage clothing into handbags and had a special request from a customer to reconstruct her grandfather’s Vietnam army blanket into two handbags. The season spotlight at the Boca Raton Museum of Art is an ode to the illustrious designs created by members of the Council of Fashion Designers of America (CFDA). IMPACT: 50 Years of the CFDA is the first museum exhibition to celebrate the quintessentially American artistry of the leading fashion trade organization in the United States. Spearheaded by Council president, Diane von Furstenberg, the exhibition includes garments and accessories by the most impactful creators of the last fifty years, on view from January 29 through April 21, 2013. Featured in the exhibition are interactive touchscreen displays that illustrate a timeline of American fashion and recognize the nearly 600 designers who have been members of the CFDA over the last five decades. Each living designer selected to participate in the exhibition has chosen a single object or ensemble that best represents his or her impact on the fashion world. Work by historical CFDA members have been selected by exhibition curators, Patricia Mears, deputy director of The Museum at the Fashion Institute of Technology (FIT) in New York, and Fred Dennis, the FIT museum’s senior curator. Among the designers included in the exhibition are Michael Kors, Donna Karan, Carolina Herrera, Oscar de la Renta, Zac Posen, Alexander Wang, Norma Kamali, Diane von Furstenberg, Vera Wang and Thom Browne. IMPACT: 50 Years of the CFDA at the Boca Raton Museum of Art is sponsored in part by Neiman Marcus. To coincide with the IMPACT: 50 Years of the CFDA exhibition, the Boca Raton Museum of Art will host a black-tie gala on January 26, 2013. Art and fashion devotees will experience an elegant cocktail of food, fashion, and entertainment. Visit http://www.bocamuseum.org/gala for details. The Boca Raton Museum of Art is one of the leading cultural institutions in South Florida, achieving international recognition as a world-class visual arts institution for its dynamic, changing exhibitions from acclaimed artists and distinguished permanent collection. The Museum’s many public programs include artist presentations, family activities, art films, the Annual Art Festival, and more than 100 classes per week at its studio Art School. Museum Auxiliaries include The Artists’ Guild, Friends Auxiliary, and Collectors’ Forum. For more information call 561.392.2500 or visit http://www.bocamuseum.org/. Get Isla Fisher's Look for the Holidays! 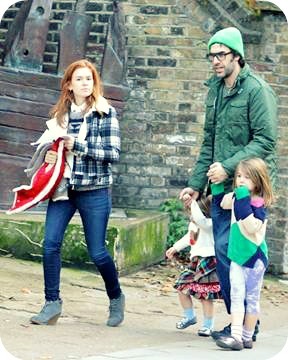 Isla Fisher was spotted on a family outing in London sporting the Lacoste Leren! This wedge desert boot blends fashion and comfort – the gum sole wedge provides comfort and traction while the burnished suede, knit detailing on the heel, and flattering height make this shoe wearable for everyday. This wedge is the perfect gift for any gal in your life or just a treat for yourself this holiday season! 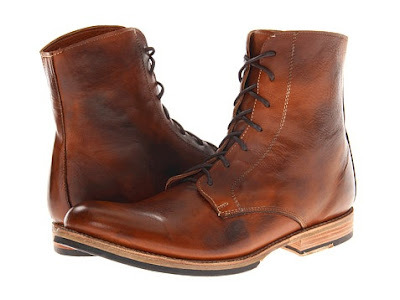 Available for purchase on Zappos.com ($175). Also available in brown, black and tan. TaylorSays, a new and unique line of heels, has officially arrived on Heels.com. Designer and artist, Taylor Reeve is showcasing her signature art and designs that are imprinted on the soles of the exclusively crafted heels with styles that highlight her playful and edgy eye-catching prints. Originally for Southern California, Taylor has etched her vibrant style and twist with the creation of her new collection TaylorSays. Drawing on just about everything in her path, her inspiration comes from a wide array of influences like street and pop art to graffiti, tattoo and custom culture, Taylor has developed a unique style that solely marks her work as an individual artist. Currently, Taylor works with several companies within the action sports community, such as Quiksilver, Dragon, Bell Helmets and SkullCandy to name a few. She has been able to design and create one-of-a-kind artist series with each of these companies. 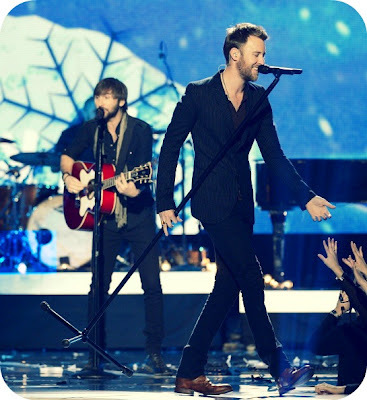 Her signature Taylor Reeve men’s outerwear debuted last winter with Quiksilver. Taylor has also worked with custom bike builder Jesse Rooke for 6 years, adding her signature flair to some of his famous choppers.